The governing council of theScreen Producers Association of Australia (SPAA) is expected next week toendorse a report arguing the case for a co-production arrangement to be put inplace with South Africa. If it happens, the reportwill be presented to the Australian Film Commission (AFC), the governmentagency that administers such arrangements. The working party behind thepush grew out of a session held during the annual SPAA conference in August2004. Those particularly involved include panellists Dimitri Martinis from theNational Film and Video Foundation (NFVF) in South Africa, Jane Corden, whorecently set up an office of Australia's Moneypenny Services in South Africa,and Veronica Sive, who has consulted on infrastructure in both countries. The report argues that thetwo industries have many similarities - indeed, the AFC advised on theestablishment of the NFVF in 1997 - and could help each other to make film andtelevision for the world market. It also notes that South Africa has one of thelowest screen counts per capita in the world, and can be expected to showconsiderable growth. "In the short term anyagreement will probably most benefit our service and post-production sector andthat is a good thing given their recent struggles," said SPAA executivedirector Geoff Brown. 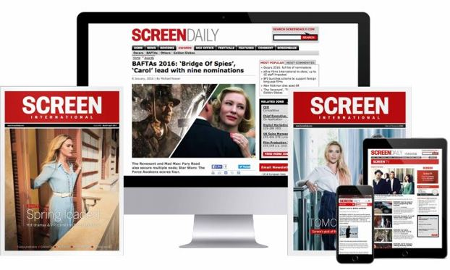 Sive told screendaily.comthat a surprising number of projects suitable for co-production have beenemerging. These include an adaptation of J M Coetzee's Booker Prize winningnovel Disgrace, to star Ralph Fiennes, and An Acre Of Heaven,which is being written by Breaker Morant co-writer David Stevens,produced by David Parker and Izidore Codron, and directed by Nadia Tass (Malcolm). There is talk of a SouthAfrican delegation visiting Australia for this year's SPAA conference and areciprocal delegation going to Cape Town in November. The MelbourneInternational Film Festival is also planning to include South Africa in itsprogram this year. Brown said that SPAA is alsofully behind more co-production arrangements with Asia, particularly China,South Korea and Singapore.